Motorists who are prepared to use a dash cam in their car will be given a discount on their insurance. The move by Axa is part of a plan to cut down on fraudulent injury claims. It comes after plans by the Garda to target uninsured drivers were welcomed by the Road Safety Authority. Axa Ireland is offering motorists discounts of 10pc on their cover if they fit dash cams to their cars. The insurer has partnered with camera company Nextbase in the hope the use of the technology will make it easier to establish liability in the event of a crash. Nextbase will also match this with a 10pc discount on its dash cams bought in retailers Halfords, DID, Powercity, Expert Electrical, Micksgarage.com, Euronics Electrical, Soundstore and Sam McCauley nationwide. Axa said the use of a dash-board camera could help protect a customer's no-claims discount after a non-fault collision. "Dash cam footage can be crucial in establishing who was at fault as the camera doesn't lie," the insurer said. Nextbase dash cams cost between €69.99 and €299.99. Axa director Antoinette McDonald said: "Dash cams offer a great way for drivers to get extra peace of mind when they are on the road and can be helpful to resolve issues when liability is disputed." There are claims that in-car cameras improve the driving habits of motorists. A study by the RAC in the UK found that 25pc of drivers believe that fitting a dash cam will improve their driving. Some seven out of 10 of those who have had an accident have said that a dash cam would have been useful in settling the liability claim. Meanwhile, the Road Safety Authority has welcomed the fact gardaí will soon be able to use hand-held devices to scan vehicles and check if they are insured. 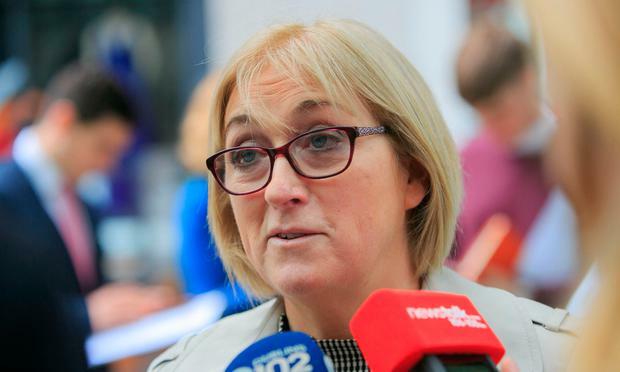 Chief executive of the authority Moyagh Murdock said: "There is generally a small cohort of people out there who are serial offenders in a number of areas of road traffic legislation. "I think this is a very welcome move and I hope that An Garda Síochána gets the correct and appropriate resourcing for it and that the funding and resources are there to give all gardaí a hand-held device to do this." The new system is set to be up and running by the end of the year. The devices will be linked to the new national database of cars and insurance cover. Insurance companies have been providing gardaí with lists of insured and uninsured vehicles which are being loaded on to the Garda automatic number plate recognition system. Initial testing of the system has been completed and it is hoped it will be rolled out by the end of the year. It will see gardaí able to use hand-held devises to scan a number plate to see if a vehicle is insured when they pull over a car on the road. The move is an attempt to clamp down on the numbers taking to the roads without insurance. Experts said the use of the technology will mean uninsured drivers will have nowhere to hide. It is estimated there are around 150,000 uninsured drivers. If it works to reduce the number of uninsured drivers the measure is expected to lead to demands from drivers that insurers cut premiums. Motorists who pay for insurance have to fund pay-outs for accidents caused by uninsured drivers through the Motor Insurers' Bureau of Ireland.